Create relevance for a new generation of a cause, as the established Jerry Lewis telethon lost traction and passion from donors over the years. For families living with muscle debilitating diseases, the world often imposes man-made limits. It may be easy to see what we’re limited by, but it’s more important to see unlimited potential. 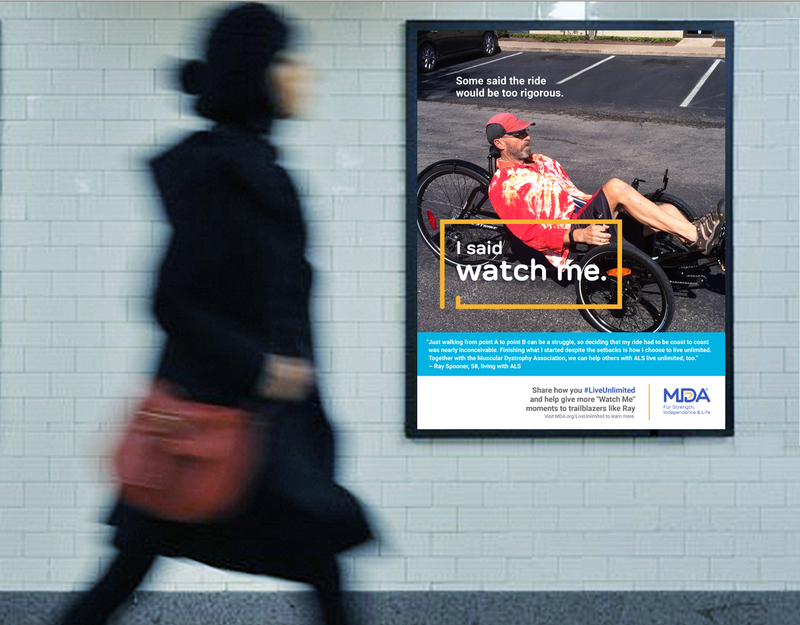 That insight connects with not only those living with muscular dystrophy, but also for people everywhere. 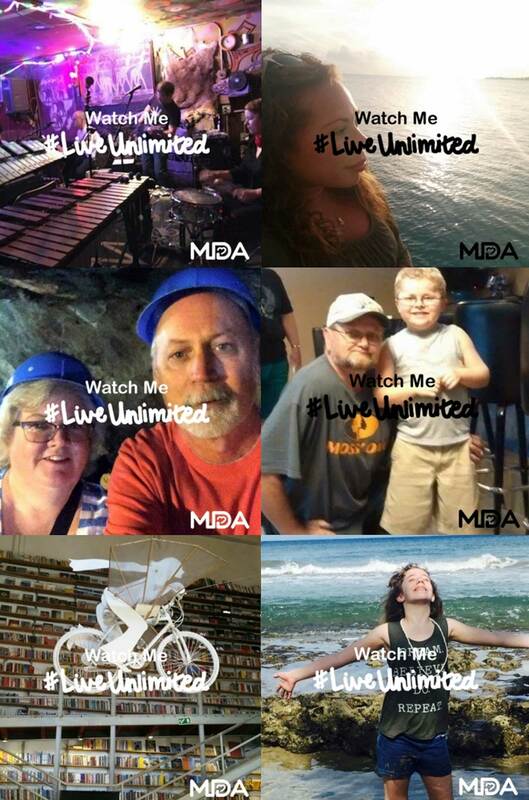 Build a campaign that celebrates the lives of those individuals who have MDA, and inspire consumers to #LiveUnlimited. 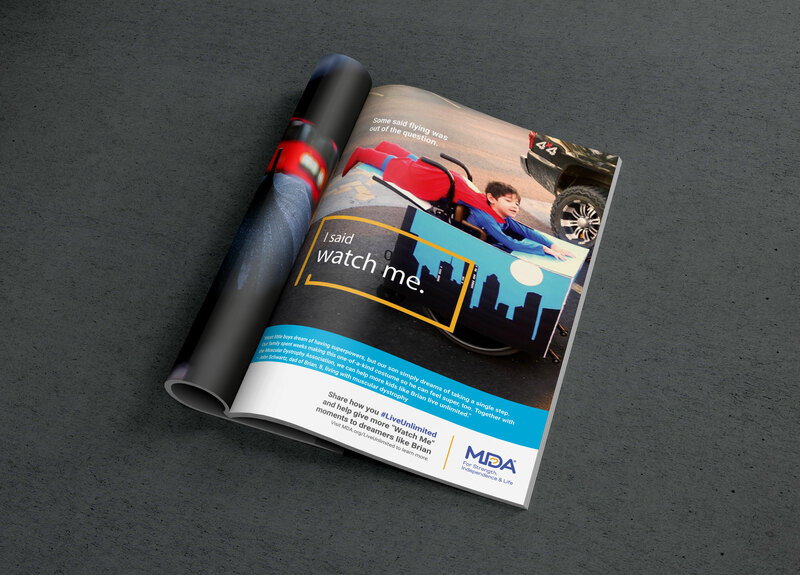 To launch the campaign, we developed a dynamic PSA showcasing some of the profound achievements from those afflicted with MDA. 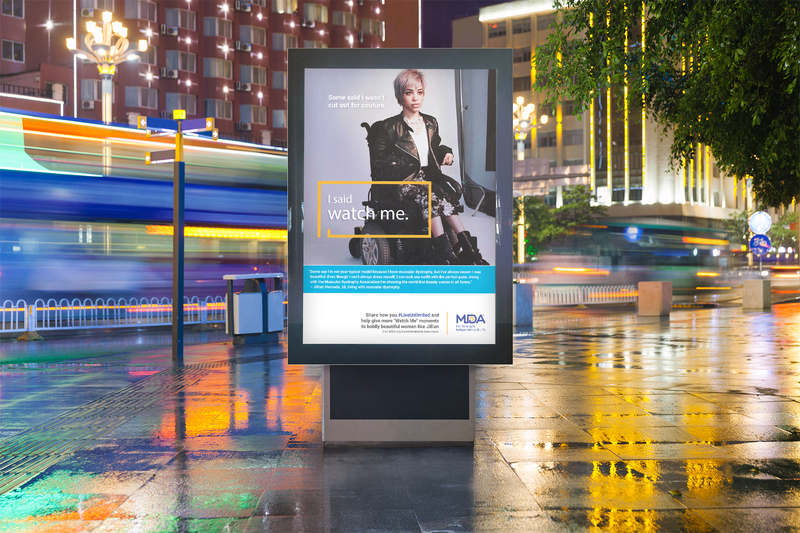 MDA was reinvigorated with its modernized storyline and a call-to-action that was attractive to potential donors, corporate partners and consumers. The PSA was extended to a holistic advertising and digital campaign that reconnected the hearts and minds of consumers with the cause.